It’s the first celebration of its success! 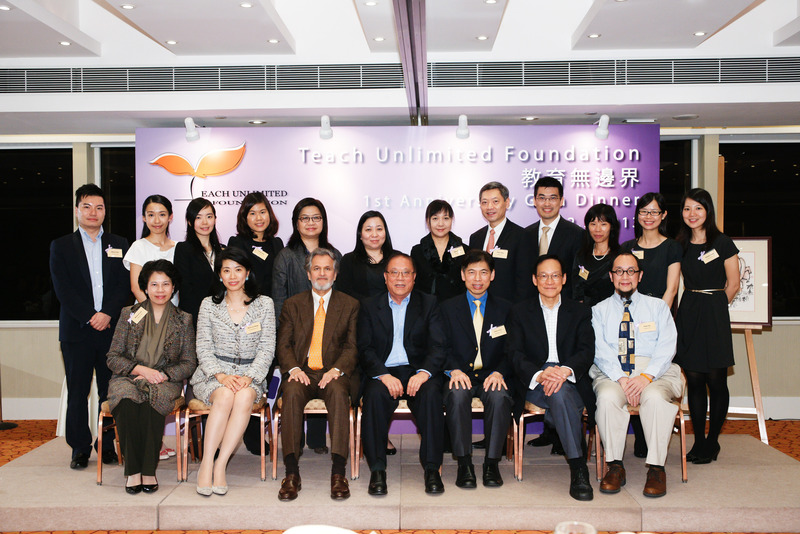 On Friday 22 March 2013, Teach Unlimited Foundation (TUF) celebrated its accomplishment in initiating positive life-changing impact on disadvantaged children through its unique education support and mentoring program at its first anniversary dinner. Attended by over 100 supporters, partners, and education and community leaders, the Gala Dinner was the first opportunity for TUF to say thanks and share its success with those who have given TUF the most critical support since its inception. The event was kicked off by a welcome message by Gilbert Tam, Chair of the TUF Fundraising Committee and a video presentation on the TUF program. Following the remarks by Chairman Simon Chan, guest of honor Professor Edward Chen Kwan-yiu, past president of Lingnan University, delivered an inspiring speech on how to improve quality of education for the disadvantaged students in Hong Kong and the role of TUF in the process. Other highlights of the evening included singing and public speaking performances by students of the partner schools; plus a sharing session by the TUF program mentors whose words have touched the heart of many in the audience. In addition to Professor Edward Chen, other special guests include representatives from Operations Santa Claus and the three TUF partner schools: The Association of Directors and Former Directors of Pok Oi Hospital Limited Leung Sing Tak College, Lok Sin Tong Wong Chung Ming Secondary School, and Caritas Fanling Chan Chun Ha Secondary School. Also in attendance were legislative councilor Hon Cheung Kwok-che, and former legislative councilors Dr. Yeung Sum and Cheung Man Kwong.